At our firm Astrid, we always say our goal is to compete on experience, not features. After all, a great user experience can feel magical and create evangelists – and a botched one can lose users forever. However, creating these experiences requires bold changes and buy-in by all parts of the organization – design, engineering, and business – that may have conflicting goals. So I’m always on the lookout for products and services that are a joy to interact with at every touch point. Here are five standouts I personally use (but have no affiliation with) that offer an excellent user experience. Compared to barebones electric toothbrush, the SmartSeries 4000 sets great default behaviors that require virtually no brain cycles for the user to brush properly (perfect for those groggy mornings). For instance, the brush beeps every 30 seconds (or 45 if you choose), ensuring that you spend enough time on each quadrant of your mouth. If you ever brush too hard, a prominent red light engages and the brush vibrates at an audibly different frequency to alert you. Another nice touch: The bristle color fades to indicate when it’s time to change the brush head, so you never have to keep track yourself. I’ve seen many cord-management products that take too much finesse, come undone too easily, or exist as a separate clip that are simply too easy to lose. The PowerCurl is an elegant cord organizer that enhances Apple’s MacBook power adapter in every way. Once you slip your adapter into the PowerCurl, it’s immediately intuitive how it all works: Wrap the thinner cable in the small section and the thicker cable in the large one. With the included clip, the thicker cable then snaps onto itself to form a neat, compact bundle. The PowerCurl also elevates the adapter slightly to prevent it from overheating and even allows the power brick to stand on its side to minimize its footprint. You know a product is outstanding when it satisfies a need you didn’t even know you had. In the case of the Jambox it was for a decent, portable music system that’s a snap to set up. In my year of owning this little Bluetooth speaker, I’ve enjoyed wireless tunes in places I never had before: on my apartment rooftop, at picnics, and even on a cruise. Jawbone made the setup and usage straightforward by including only three buttons and a switch. Once you slide the switch on, the speaker goes directly into pairing mode and, handily, announces it via a voiceover (instead of relying on inscrutable flashing LEDs or a keyboard input). In fact thanks to the use of audio feedback users always know exactly what to do — when the volume has been adjusted, when it needs a recharge, when devices connect or disconnect. I’ve tried other Bluetooth devices, such as Supertooth’s Buddy speakerphone, and it is often unclear whether I’m pressing the right button or if I’ve held it long enough to start the pairing process. However, user experience doesn’t end with the product, and the Jawbone delivers in support too. When the Bluetooth antenna failed within a year after purchase, the company happily replaced the speaker. 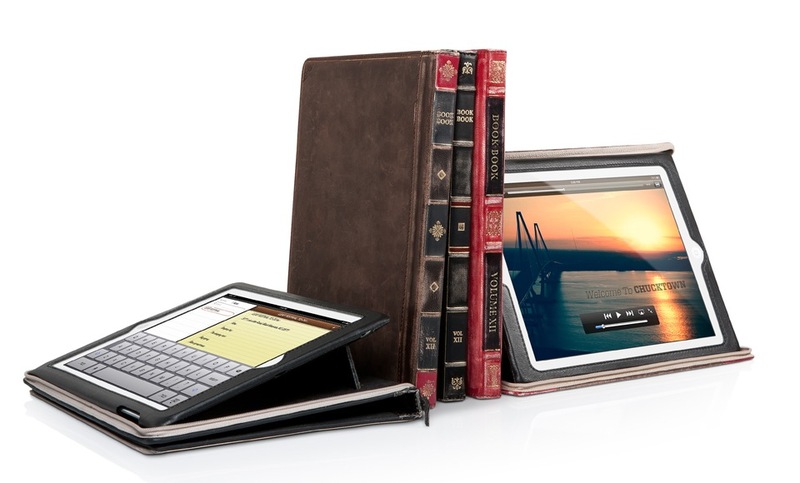 TwelveSouth’s tablet case transforms your iPad into a beautiful leather book. But instead of just being a protective case (albeit a particularly good-looking one) it provides several stand and viewing configurations that are dead simple to figure out. And while some might possibly have a little difficulty initially inserting their iPad into the case, TwelveSouth nips the issue in the bud by shipping the case with a cardboard iPad insert to illustrate exactly how yours should fit. Before this case, I had Apple’s Smart Cover, which regularly slipped off and became visibly dirty over time. TwelveSouth’s is far more rugged, and the choice of distressed leather means that I’m not afraid to scuff up the case, as each ding and scratch only gives it more character. 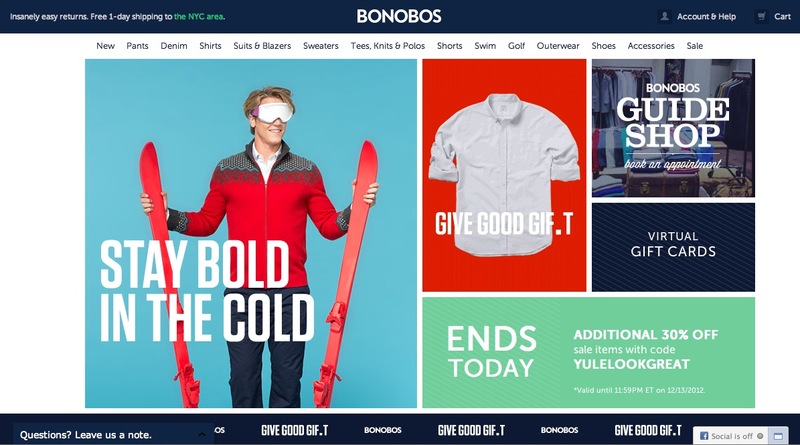 Bonobos is a (mostly) online men’s clothing shop that sells its own products along with a few other curated brands. They’ve put together an experience that addresses the common but key psychological hang-ups that consumers tend to encounter when online shopping. Finally, the Bonobos team is responsive and personable in all communication channels – phone, email, social media – so users feel confident that any issues that could crop up will be addressed swiftly and pleasantly. What a difference in an age of outsourced call centers and frustrating AI customer service robots. Have any favorite products or services that really deliver a great user experience? Hit the comments to tell us about them. Henry Tsai is head of UX at Astrid, developer of the popular list manager app. He blogs at htsai.com; follow him on Twitter @henry_tsai. Hmm…I have one of those toothbrushes and, while the listed features are very good (why I bought it) the actual implementation (and thus the UX) is not perfect. 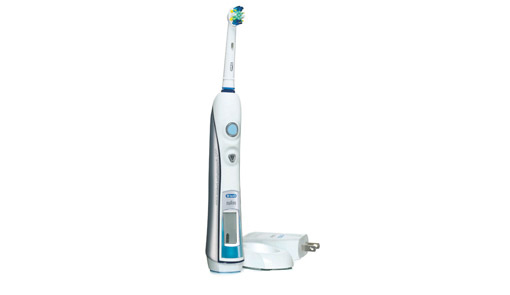 The toothbrush is, overall, tapered….so the base it stands on is wider than the “shoulder” (where the buttons are) so, being relatively heavy due to the batteries/motor etc., the device is quite happy to slide through the hand, away from the mouth, with no ledge or “hilt” to prevent this. The rear of the brush is “grippy” rubber but this accounts for less than 30% of the circumference of the body so I find that I am frequently shifting my grip. It’s good…but not perfect in practice. For article about User Experience, you’d think this article would be easy to understand. You couldn’t figure out that the first picture (of a toothbrush) was related to the Oral B product? Rapha – cycling apparel company is a delight to deal with – free shipping both ways and a 30-day no-risk trial period for some of their ”classic’ pieces. Not bad at all! Alex, thanks for the heads up. Will share with my cycling friends. Great writeup Henry. Some great holiday gift ideas here. 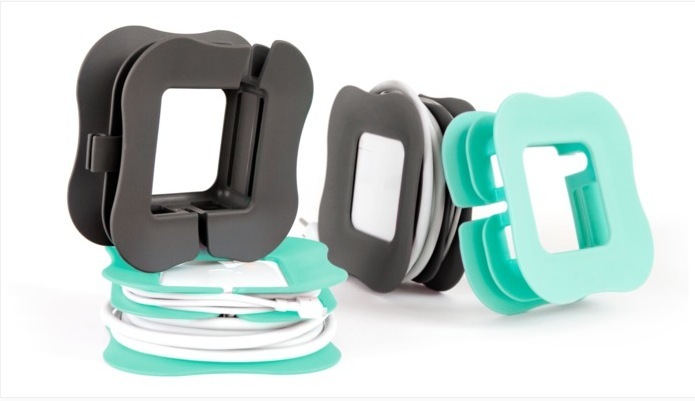 I personally love my Quirky PowerCurl (taming the power cord chaos in my bag) and my favorite product from TwelveSouth is the BookArc (http://twelvesouth.com/products/bookarc). Apple puts so much care into their core products it is great to find accessories that are designed with similar attention to detail. I’ve been eyeing the BookArc for a while too, but I always tell myself I need that extra real estate with an open laptop.